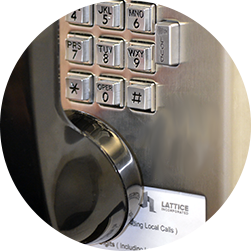 Lattice’s Nexus Inmate Telephone System (ITS) is widely-installed and well-known for industry-leading security and reliability. Lattice is highly-regarded for its system reliability and customer support. We provide correctional facilities with 24 x 7 technical support on all systems and software. Inmates can dial directly into our InTouchTM Inmate Hotline for assistance with call-related issues. This service virtually eliminates corrections staff involvement, time, and cost, freeing staff for higher-priority tasks. The Next Generation Of Inmate Communications! Generating New Sources Of Revenue For Your Facility.